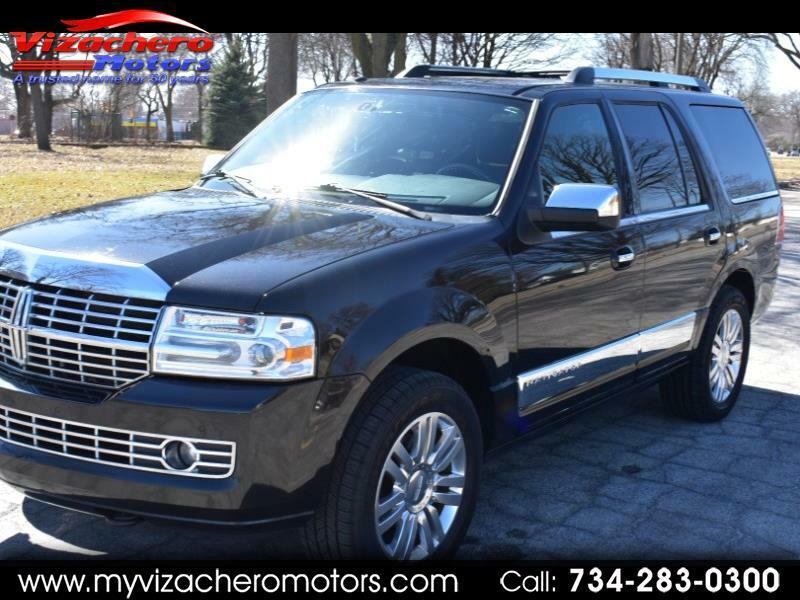 BEAUTIFUL BLACK LINCOLN NAVIGATOR - BLACK LEATHER INTERIOR - POWER MONNROOF - POWER SEATS - HEATED SEATS - POWER RUNNING BOARDS - ALLOY WHEELS - NAVIGATION - TOUCH SCREEN AM FM CD STEREO - 4 CAPTAIN CHAIRS - 3RD ROW SEAT - INTERIOR WOOD GRAIN - POWER TILT STEERING WHEEL - AUTO START - NEW TIRES - AND MORE !!! - LOADED - BEAUTIFUL !!! - A MUST SEE AND DRIVE - LUXURY SUV !! - WE ALSO OFFER GUARANTEED CREDIT APPROVAL FOR ALL!!!! - PLEASE BUY WITH CONFIDENCE...OVER 58 YEARS OF AUTOMOTIVE SALES AND SERVICE,,,OVER 6000 VEHICLES SOLD - HOPE TO SEE YOU SOON !!! !